Intel Atom based mini PCs currently use Bay Trail and Cherry Trail SOCs. Whilst they perform satisfactorily under Windows attempts to use Linux based operating systems have resulted in the loss of HDMI audio, wifi and bluetooth. I've attempted to address this with a series of Ubuntu ISOs and kernel patches. Some cautionary advice: The initial menu screen takes slightly longer to appear than with the official ISOs. Depending on the speed of the USB drive used it can be anything from fifteen to forty-five seconds before anything appears on the screen. After installing with a 32-bit bootloader booting sometimes results just in a blank/coloured (e.g. purple) screen. 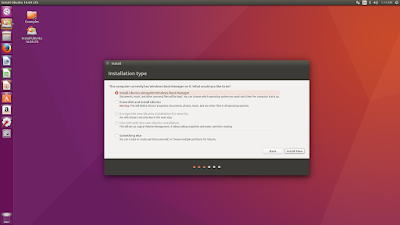 To prevent this and to ensure a successful boot it is best boot through the BIOS menu followed by selecting the Ubuntu option. If dual booting with Windows I recommend installing/re-installing 64-bit Windows to circumvent this issue if your device supports it. To try an ISO download it from one of the links below (in red) and write it to a USB using either 'Rufus' in Windows or 'dd' in Linux. Alternatively you can just download a kernel and upgrade your existing installation. Note that the disadvantage of this approach is that you will need to find and install the wifi firmware files in order to get wifi working on a Bay Trail device. To upgrade your kernel first download the shell script for the kernel version you require and after making it executable (enter 'chmod 755 <script>') you can install it as 'root' (by entering 'sudo <script>'). Once the script has finished executing the device will need to be rebooted to use the updated (patched) kernel. Previous Update: Thanks to a comment from Камлаю однако (sae762) a solution to the Cherry Trail device I2C bus kernel error is now known. However when I included it as a patch in the latest build of the v4.4 kernel (4.4.0-42.62) I subsequently discovered that some Cherry Trail devices failed to boot due to new errors being encountered. As a result I have excluded my patch from the v4.4 kernels and recommend Cherry Trail device owners to either install my Yakkety 16.10 ISO with kernel updates or try upgrading to the latest Yakkety kernel (v4.8.0-26.28) using the script below. As a result the ISO kernels will not be recompile with this patch although I am still planning on re-spinning the ISOs to include other fixes I have been working on. Starting from the 4.4.0-42.62 kernel the source now includes an earlier patch 'Reduce Baytrail eMMC/SD/SDIO hangs' which previously was available in the v4.6 and later kernels which people still said hung. This will not be back-ported to the ISOs. One issue that has been reported with Linux kernel versions newer than 3.16 on Bay Trail processors is a random freeze where the whole system hangs. Unfortunately no complete fix currently exists however if you encounter freezes an accepted workaround is to limit the processor (CPU) to a certain power state, or 'C-state', if such freezes are encountered. The above change only needs to be made once, typically following installation to eMMC storage. Previous Update: Thanks to a comment from Камлаю однако (sae762) a solution to the Cherry Trail device I2C bus kernel error is now known and I have included it as a patch starting with the 4.8.0-22.24 build of the v4.8 kernel. This kernel already includes the 'Reduce Baytrail eMMC/SD/SDIO hangs' patch mentioned above. however all the ISOs will need to be re-spun as they contain an unpatched 4.8.0-22.24 built of the v4.8 kernel. I have also created a new update script 4.8.0-26.28 containing the latest Yakkety kernel build which has been released to address the 'Dirty COW bug' or CVE-2016-5195 (see http://dirtycow.ninja or http://people.canonical.com/~ubuntu-security/cve/2016/CVE-2016-5195.html) which is a privilege escalation vulnerability involving a race condition in handling copy-on-write breakage of private read-only memory mappings. The Yakkety kernels brings SD card support to Cherry Trail devices although Sandisk card support is not complete and can fail completely. The random freeze issue is still present so if you encounter freezes use the workaround above to limit the processor (CPU) to a certain power state, or 'C-state'. Some devices hang on reboot or halting without powering off. The exact cause for this has not been identified. If bluetooth fails to initialize then toggling the device's power and rebooting has been found to work. Any other functionality issues should be re-checked using the equivalent official ISO as they maybe existing bugs or deficiencies. Latest Update: I have created a new update script 4.8.0-30.32 containing the latest Yakkety kernel build which includes the Cherry Trail I2C bus kernel solution. This can be tested with either 16.04 or 16.10 as the official 17.04 release will not be available until April next year. Pierre-Louis Bossart has been rewriting the HDMI audio patches with the intent to replace them entirely with a new HDMI LPE audio driver which enables support for HDMI LPE audio mode on Bay Trail and Cherry Trail devices when an HDaudio controller is not detected. Once the driver has been approved upstream by the GFX team it will hopefully be mainlined possibly as early as 4.11. In order to ensure the success of this work I would like to provide feedback on any issues encountered through the early adoption of the driver. So I've decided to build my 4.9 kernels using this driver and provide kernel upgrade scripts to allow anyone to test on their own devices. I've also respun a recent daily Ubuntu Alpha build ISO so that the kernel and driver can be tested independently of whatever is currently installed. In order to build up a list of what devices work with the new driver and document any issues identified please add a comment below detailing your experiences. The best way to help when making a comment is to include the name of your device and a copy of the output from 'dmesg' (which is basically a log of kernel messages). The easiest way to share the log is by using the 'pastebinit' command (see https://help.ubuntu.com/community/Pastebinit). After installing the command by entering 'sudo apt install pastebinit' you can share the kernel messages log by entering 'dmesg | pastebinit'. This will paste a copy of the output from 'dmesg' to Ubuntu's Pastebin and provide an URL to access it. The Beta 2 images and earlier are superseded by the final images above. The following section remains as an archive only. The Ubuntu team has just announced the final beta release of Ubuntu 16.10 Desktop, Server, and Cloud products. Codenamed "Yakkety Yak" 16.10 the beta release also includes images for the Kubuntu, Lubuntu, Ubuntu GNOME, Ubuntu Kylin, Ubuntu MATE, and Ubuntu Studio flavours. The Yakkety kernel brings SD card support to Cherry Trail devices although Sandisk card support is not complete and can fail completely. If installing the Lubuntu 16.10 Beta 2 ISO on the original Ubuntu Intel Compute Stick (STCK1A8LFC) you will loose the initial F10 boot option. The NVRAM entry the system creates doesn't match the installation as with the v4.8 kernel and ZRAM the storage device becomes /dev/mmcblk1. You can still manually boot by going through the EFI shell (once enabled in BIOS) and you can fix by deleting and then recreating the correct boot entry using 'efibootmgr'. So if you didn't understand this paragraph don't install it on the STCK1A8LFC and wait for me to find either a simpler solution or provide some additional instructions. Acknowledgements: Canonical Ltd. (Ubuntu), Pierre-Louis Bossart (HDMI audio), Linuxium (v4.8 HDMI audio), Daniel Bilik (C-state), Bastien Nocera (WiFi) and Larry Finger (Bluetooth). Terrific news! Thanks! Been waiting for this for too long! Will try them as soos as possible. Does it support install on external card? Or it is due to device, my is lenovo yoga tablet 2 and im sure i couldnt install ubuntu on external storage. As ISOs they are no different from the official ones so if the SD card and installation works on an official ISO it will work with mine. Your main (device dependent) issue will be where or which ESP partition to use. Some devices can only boot from an ESP partition on internal storage or external USB. Others can also boot from external SD card. The root file system then can be anywhere. 16.10 server Linuxium installation media needed. Trying to install LXQT because of HiDPI support. @tmp: Unfortunately I don't have time at the moment to build server ISOs. What is the diference with this release? The difference is that these ISOs are for every Cherry & Bay Trail sticks/minipc, and those from the link you posted are for Official Intel Sticks only. Per my comment on your other blog post, I updated from your Lubuntu 16.04 to your Lubuntu 16.04.01. I am still having problems with getting volume and brightness adjustments. After installing PulseAudio, the ALSAmixergui started working and I was able to add volume control to the panel. I then removed PulseAudio and was still able to start ALSAmixergui and the volume control remained on the panel. However in lxterminal, alsamixer still has the same problems. In lxterminal, xbacklight responds "no outputs have backlight property"
Any advice related to your particular Lubuntu 16.04.01 or are these general Lubuntu problems? bluetooth - it cannot find my logitech K-480 keyboard or any other device. Sound - its found as Dummy. Under displays rotate will not work as there are no other choice than Normal. Nor are there other resolutions than 800x1280 in displays. The bios can be accessed by holding BOTH volume buttons and power it ON. Seems to be using Wimboot. The graphic card is Intel HD Graphics 4600. There area problem shutting down or rebooting - it never completes, only end in reached target shutdown and stays there with blinking cursor. Any solution? Just not good that it doesn't work OOTB - Canoncial ought to put more effort into this. Accelerometer is Kionix KXCJ9 SPB - maybe the driver for this is not installed and that is why the rotation is now working? Hi again, just an update. Bluetoth and wi-fi works on 16.04. The LCD panel driver is not correct and found as unknown. The rotation still not working. It works well but kicks out of Lubuntu Kodi if you try PVR addon. The installation either hangs or crashes on my Minix NEO Z64A. 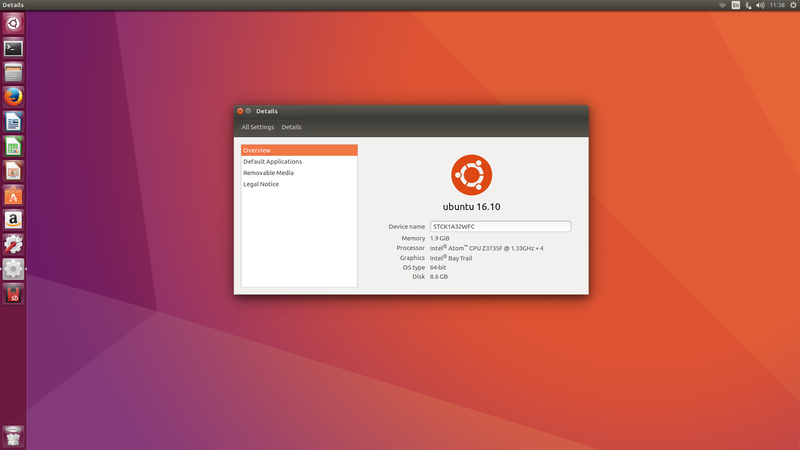 I tried both the Ubuntu Unity and Gnome. My new 16.10 ISO does work however it initially pauses for some two (2) minutes before fully booting. This issue is only with the 'live' image as once installed the system boots immediately. Not ideal but until I can identify what is causing the delay you just have to wait, patiently! Hi, just tried 16.04 Gnome - it does the same thing as 16.10, never shutdown - just hangs on reached target shutdown. Some devices hang on reboot or halting without powering off. The exact cause for this has not been identified. I tried using in just syslinux.cfg - not good result. I use Unetbootin from Peach OSI(Xubuntu 14.04 LTS 32bit) to make the USB with 3750 MB persistent file. With the above kernel parameter you don't boot to black screen. I have not tried the new .iso yet, but on the old ones there are an issue with not unmounting cdrom. That might also be the reason for the 2 minutes delay, that it's running fsck in the background because of shutdown without unmount. Thanks everyone for your comments. Currently I've been working through them in conjunction with building and testing the daily/release candidates for 16.10 and the final version due for release today. I will post more details once the ISOs are posted. 'Yakkety Yak' 16.10 Ubuntu and flavours ISOs are now posted above with additional comments. Please try one of my new 16.10 ISOs and let me know if they now work. i waited for over an hour and nothing moved. The first one tells Ubuntu to look at the USB for the files, the second tells to look for Intel graphic chip and the third tells to look for persistent(savefile). Try it and post here if it worked for you. On your USB it should look like this. Check to see if they are correct on yours. Can't say why the installed do this. Use Geany when editing files like this or you might get a space were it were not intended. Especially if you edit in windows(crapware). problem seem to be solved by not adding " persistent"
Ufortunately I don't have a solution for the screen rotation as this is an kernel bug - I have same problem, an not only on Ubuntu but also on Slacko 6.9.6.3 which is a Puppy linux Slackware based distro and any other linux i have tried to get booted on this tablet. Apparently the kernel don't like the intel graphic chip when booting, thats why you end up in black screen - this problem has been around since 14.04(13.10 worked) - the kernel parameter works to get you to the desktop. Maybe Linuxium can help here? Regarding persistent - make sure your casper-rw is smaller than 4096 as the Fat32 filesystem can't handle more than that. I usually just make the file 3750 MB since that equals to 3.9 MB when Unetbootin is finished. On your installed linux you should not use persistent, that is only for the LiveUSB. Well done. Lubuntu 16.10 installs and works perfectly well on Pipo X7. Thanks. Is the 16.04 also final or are you still working on that one? 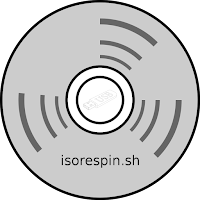 The 16.04.1 ISOs need to be re-spun to incorporate the feedback from both the 16.04 and 16.10 ISOs. Also the latest fix for Cherry Trail devices (I2C Bus) needs to be back-ported into all the ISO kernels. And then of course there is 16.04.2 to look forward to next year. I use my STCK1A8lFCL(baytrail)'s USB for a Keyboard/Touchpad and have a MicroSD inserted. Can anyone help a newbie figure out how to use/install the Xubuntu ISO given that I don't have any available ports? It has to be an usb hub with own power adapter, since the built-in usb port will not be able to supply enough power for many devices. Can it be related to the HDMI audio drivers? Anyway I don't get the boot screen/logo/grub/bios screens so I think that the problem is the TV itself. I can report that Ubuntu Mate is running on a Lenovo 100s Atom laptop. ** Bluetooth, Audio and charging indicator (battery always at 100%) does not work. For now I dont need more, but if you know how to make the other parts working any help will be appreciated. I managed to boot the Ubuntu Gnome iso on a Chuwi Hi8 Pro with an Atom Cherry Trail X5 Z8300. The desktop boots but apart from the video all the peripherals (touch, sound, wifi, bt) and buttons dont work. Nice to see a Linux desktop the first time on this tablet, too sad still does not work fully but great work! Many thanks for this information. I've built it into the latest Xenial kernel and recompiled the current Yakkety kernel with it, both of which are posted above. I'll have to recompile the ISO kernels and re-spin the ISOs next. On Wintel Pro W8 PRO changing PUNIT_SEMAPHORE to 0x10E makes kernel stuck on loading. I've only included the PUNIT Semaphore patch in 4.8 kernels and greater for this very reason so 16.04 and Xenial kernels will still work for you. Hopefully I'll find a more complete solution soon. Can you provide the MD5Sums? Hi, first of all - big thank you! I havent tried this release yet, since I do not have my device nearby. Bluetooth doesn't work on the PCG02U as it seems to be a BIOS issue. I download 2 ISOs of Kubuntu and compare the MD5 - its f282e4000a635a6f20e4ded7ba7c22cc by the way. I copy it then on my microSD card via dd and check the result on the internal tool, which is available in GRUB. I installed anyway, since i controlled the ISO before i wrote it via cmp -n and wanted to know, which test method lacks here. The installation stucks at "Add User" 20%, while the whole OS stays usable. I did the write process again, also healthy ISO and get the same thing again. Is it the microSD card? "It shows one error" ... so what is the error? Does using the official ISO work from your micro SD card? This issue was finally traced back to an issue with home directory encryption which I've now fixed on my latest 16.10 ISOs. I am trying to boot the device PCG02U Stick PC by MeLE company (it has Bay Trail Z3735F processor, 2GB DDR3 RAM, 32GB eMMC, and HDMI, eth and WiFi). Whrn I try to boot, it displays something like: "error /boot/ not found" for a fraction of a second on a monitor. If I try to boot, it starts booting (there is Ubuntu logo), but it stalls at boot screen. It seems boot image is broken...? There isn't a problem with the image but if you are getting a disk error then maybe try using a different USB and just use 'dd' natively to write it. Hi Linuxium(Ian), regarding your kernel scripts on 16.04 and 16.10 - didn't you lock the versions so that they would not update the kernel? Will these kernel update scripts circumvent the lock, so if I have 16.04 already on USB stick and run the newest script then it will update to the newest kernel made by you? Are the .iso of 16.04 and 16.10 updated with the newest patched kernel? It was not clear. May I suggest to remove old information or make a section for updated information - it's getting kinda confusing. Hi Linuxium, When I try to run the linuxium-install-xenial-kernel-4.4.0-42-linuxium.sh script on my LiveUSB with your 16.04 with kernel 4.4.0-31-linuxium I get "Command not found". I followed your instructions to make it executable and used sudo linuxium-install-xenial-kernel-4.4.0-42-linuxium.sh to run it. Well, when I try to open the script with Geany it turns out its empty - so that is why its not working. I've updated the post to hopefully make it clearer. The kernel update scripts are to keep in sync with the official Ubuntu kernel updates as if you install an official kernel you will loose HDMI audio and wifi on RTL8723BS devices. The update scripts are to be used to update the kernel on an existing installation. They cannot be used on an ISO or to attempt to upgrade an running ISO's kernel. The current ISOs do not include the Cherry Trail I2C bus fix at this stage as I need to recompile the 16.04.1 kernels and re-spin all the ISOs with relevant updated kernels. As a workaround you can still install using the ISOs and then update the kernel to the latest version using the update script as the latest scripts include kernels with the Cherry Trail I2C bus fix. Thank you Linuxium for all of your hard work on this. I am trying to revive a Nextbook 10.1 that had "something bad" happen to the partitions. So far, it is looking very well. No matter how it turns out, I do just want to say thank you so much for giving us hope. What Ubuntu and Kernel version did you use to compile 4.8 ? For Ubuntu support please consult www.ubuntu.com as there is too much to cover here. "To upgrade your kernel first download the shell script for the kernel version you require (i.e. click on 4.8.0-22.24 above) and after making it executable (enter 'chmod 755 linuxium-install-yakkety-kernel-4.8.0-22-linuxium.sh') you can install it as 'root' (by entering 'sudo linuxium-install-yakkety-kernel-4.8.0-22-linuxium.sh'). Once the script has finished executing the device will need to be rebooted to use the updated (patched) kernel." No. You simply run it as it is a 'shell script'. efi: request map not found. After the message i see the usbkey blink but nothing appear. Which ISO release are you trying and how long are you waiting at the blank screen (do give it plenty of time to boot as on one device this means over two minutes possibly due to a networking issue). Uau! That was amazing! Can't even believe that I'm writing from my PC-Tablet running Lubuntu 16.10! I've been trying to do that for years! Thank you Linuxmium, you really brought some hope to my old pc-tablet, which wasn't able to keep with win10 anymore (consumed all my HD, RAM, CPU, my life, time, etc...). I've a Brazilian branch, that I reported here https://ubuntuforums.org/showthread.php?t=2322692, months ago when I has trying to install Lubuntu on the same machine but without success. I'll report my experience. but they did boot just fine. During the live run, I found wifi, brightness management, hdmi video working but power management, memory card, bluetooth, sound, accelerometer and touchscreen were not. After installing and updating the kernel, the memory card started working. I activated the additional driver on Software & updates (intel-microcode) but that didn't seem to have any effect. I'm willing to help to improve the code, if possible. My experience with coding is mainly with scientific codes in FORTRAN, C/C++, Java, and Octave. I really don't have background in dealing with OS related code but, if that help, you could instruct me on what to do to get my machine in a better working condition. Hi Ian. Have you thought about making your kernels available for the guys with Arch linux using aur build system? I don't have time myself to develop an Arch Linux version but if you are interested in doing so please post your progress. I'm trying to run the 16.04 variant on a Minix Neo Z83-4 and I can't get HDMI audio to function. There is no sound at all and the audio settings window shows that the audio device is Analog over HDMI, which seems odd (you'd expect the audio signal to be digital). It's there anything you know of I can try to fix this? I don't know what the issue is at the moment. Anything I can provide to help resolve the issue? I have booted most of the 16.04 variants on my Toshiba Encore 2 (WT10-A32). Only issue I have come across is that Bluetooth is not recognized. I have not had much success debugging yet as I get frustrated with using the onscreen keyboard. Will post more info as I play and learn. This is so much nicer than Windows 10 on this tablet and just the project I have been looking for the last few months! I am having issues with the installation where it appears to hang on creating the user when you select to encrypt the home directory. Waiting on the tablet to recharge before attempting to install without encrypting the directory. Additionally, not all variants appear to have an onscreen keyboard installed in the ISO. If you have a secured WiFi access point, you will probably want to choose a variant with an onscreen keyboard installed, like Ubuntu Mate (can't remember if any of the others had a keyboard installed or not). Currently only my 16.10 ISOs support home directory encryption as I haven't back-ported that to the 16.04.1 ISOs yet. Work around for 16.04.1 users is to simply encrypt the home directory and swap after installation. I'll Update you if I'm successful. Working Beautifully with Tronsmart Ara X5 Plus. 1 - If your device has other USB audio devices or built in on the pcb you need to go into settings and put the IntelHDMI as #1 in the priority list. 2 - If you get "cursor trails" as in, unintended graphical artifacts you need to go into Compositing Options (I think that's the name). Just search OpenGL within system settings and it should be the first result. Use Open GL 2.0 or 3.0 (The one you get the best results with although 2.0 is fine) and make sure to enable redrawing/ full redraw under vsync options. This seems to fix it. 3 - Use Kodi and VLC for flawless H.265 playback. The stock applications don't perform as well. 4 - Also, Go to display options and make sure your monitor is set to 60hz, mine for some reason defaulted to 30. It's really snappy. Better than windows 10. My 16.04.1 ISO uses the original 'official' RTL8723BS driver. Have you tried my 16.10 ISO as this uses the latest version of the driver from 'hadess'? I've just tried the 16.10 and it actually times out any network activity, with the maximum speed being about 1 or 2 mbps. I have the STCK1A8LFC, can anybody replicate this. First of all, thank you for your work! With your ISO I managed to install Ubuntu 16.10 on a Lenovo Miix 300-10IBY, a convertible tablet/notebook. As a "classical", normal netbook, it results quite well-usable: the wi-fi works flawlessy, but Ubuntu doesn't recognize the audio device and the cameras, and fails to report the battery status. Usig the device as a tablet is - for now - more problematical: the touchscreen appears to be recognized (or quite so...), but I wasn't able to find a way to implement the automatic rotation of the screen, and the automatic displaying of the on-screen keyboard. I also tried the Unity 8 session: I find it very promising, but not really usable because of the summentionated issues. Please, make me know if I can do something to contribute to reach a solution for them! Strange given the comment above from Tesi on 16 October 2016 at 05:38. Thanks heaps for your work on this. I've just donated. 1. I came across this blog while troubleshooting spontaneous restarts on an Intel Compute Stick STK1AW32SC, which is a Cherry Trail device. Is this something you've encountered or heard of? Could it be the same as the freezes observed in Bay Trail devices? 2. Are the stability fixes in your distribution isolated to the kernel? Is there anything I'm missing out on stability-wise by installing your kernel over the top of my own customised 16.04.1 build? Many thanks for the donation. 1. I've have experienced freezes on both Bay Trail and Cherry Trail with earlier kernels however my most recent builds appear a lot more stable. 2. The stability fixes are mainly in the kernel with a couple of tweaks in userland. 3. You can download my kernel .debs from the kernel update script (just 'unzip' the script to get the actual .debs). Using Ubuntu-Mate-Linuxium MiniPc with Z3735 with RTL8723bs. Tried Wifi as hotspot. Works for about 20mins then SSID disappears. Have to reboot to get back. Good Work, im trying 16.10 iso on Lenovo IdeaPad 100s 11IBY, audio not work and rtl8723bs can't connect to wifi but show me the AP and its power. How is possibile that rtl8723bs not connect/associate to ap? someone has the same problem? dead links in that article so does that mean I should install the ISOs from this page on my Intel Stick? Which article was that so I can read it and answer you better? Ive tried to build a kernel out of the latest branch here: https://github.com/linuxium/ubuntu-yakkety/tree/Ubuntu-4.8.0-26.28 and found a couple of strange thinks that little bit confusing me. Can you please take a look ? 1. The very desirable feature of having hdmi audio appears to be disabled by default. One have to manually go to menuconfig and enable CONFIG_SUPPORT_HDMI=y which is not obvious. Hope it does not affect result significantly. 4. menuconfig has empty top level element Ubuntu supplied Third-party Device Drivers. That looks suspicious. Is it broken or just obsolete ? 5. During the build of i965 module there are multiple warnings about possible firmware miss. Is it ok ? 6. Is it possible to publish your .config files for kernel build ? Been trying to get your Xubuntu (16.10)to boot up on USB flash drive on my tiny new GPD WIN pocketable laptop. So far, I get the black screen after it starts to boot...only see 2 lines of text in console before display goes black. Funny thing is that prior to trying your version, I tried both the official Xubuntu as well as Linux Mint versions, and both of them boot up OK.
My only issue was that display is rotated 90 degrees due to the fact that a portrait screen is used on the GPD WIN. When I tried rotating screen in gui Display settings in both Xubuntu and LM, the screen turned black. Hence my interest in your Xubuntu version. Other strange thing is that user 'Phawx' over at Dingoonity forums, used your version on his WIN and it booted up OK and he was able to rotate screen in Display settings. Have 64-bit version of Win 10 installed on the GPD WIN. Any suggestions as to how to boot up? I assume it won't make a difference if I were to try one of your other iso versions such as Lubuntu, etc, would it? Any input would be greatly appreciated as I'd really like to be able to dual boot Win 10 and linux. Have you waited long enough for the device to boot as it can take some time. Alternatively you might have to look into using the 'nomodeset' parameter to achieve a boot. Minix is currently working with Intel to modify Ubuntu to work with the Z83-4 hardware. If they share the source this may benefit others. Perhaps the Wintel Pro W8 PRO handles PUNIT_SEMAPHORE differently to other CHerry Trail devices? I've installed the latest Ubuntu ISO on a Lenovo ideacentre Stick 300. It's pretty slick. Thanks for your work. I'm having trouble with bluetooth. It doesn't work after most reboots. Sometimes it will work. What causes this? Is someone already work in this so that it will be reliable in a future release? You have a fixed driver that I can build and install? It's a kernel module, right, so that the kernel doesn't need to be rebuilt from sources? I would also like to use this on my HP Envy 8 Note tablet. I have 16.04 installed and, as with the Stick, wifi and audio work, but bluetooth does not. Devices pair, but do not work. I'd like to acquire the sources for the kernel module for bluetooth and install it there, too. Regarding my HP Envy 8 Note tablet, which has 16.04 installed, a bunch of updates came in tonight, and how bluetooth is working! So, wifi and bluetooth are working. Sound is not. I haven't been able to install your 16.1 ISO on my HP E8N. It boots from the USB stick, giving the live/install/other menu. After picking live or install, it flashes the purple screen, then goes blank. Since I have 16.04 running on it, I went through the upgrade procedure to get 16.1, and now during boot I see the same, purple screen, then blank. Is this just a problem with grub? To answer my own question, I've found the advice to set nomodeset in grub for the boot. Hi I have the same tablet and would like to know more about which version of Ubuntu did you install and how well does it work now. I'm also planning on installing Ubuntu cause the windows 10 performance is really sluggish. I had an issue with the grub boot menu not showing up any more after Windows 10 had been booted. Through a USB boot with a grub command or using the internal UEFI shell, I was able to load grub. A reinstall of grub made it work, but only until Windows 10 was booted again. This solution worked for me, but don’t hesitate with a tip if there is a less hacky way to make grub use EFI/Boot/bootia32.efi for Windows. It need to be preserved through update-grub and updates to the grub package (grub-efi-ia32). I am very pleased with the otherwise smooth installation of the Ubuntu 16.10 linuxium. Keep up the good work! Will I be able to install your 4.4.0-45.66 kernel on the official 16.04 Server version? I patch the 45.66 kernel to official 16.04 ubuntu server, I can find "wlan0" when i type "ip a", but can not be used. Can you help me how to use WIFI in the Server version? Thank you very much. Which device is this for? My device, nextbook Flexx11 with a processor Intel BayTrail-T CR. Pierre Louis Bossart from Intel asks those wishing to test the new audio driver for Intel Bay Trail CR. Requires tablet Bay Trail CR, the ability to collect fresh core and firmware. But the fact is that I am not able to build the kernel, but as I understand it in the source code, there are drivers for our devices. If you are not difficult, you can include these drivers into your assembly. I've added instructions for configuring audio using the RT5640 codec so perhaps they will help you? Hello i install 16.10 and updated to 4.8.0-26.28 but my wireless not working 8723bs. Was wifi working on 16.10 before the upgraded to 4.8.0-26.28? Help. I have a meegopad t07 4g. I installed Ubuntu Mate 16.10, and I update the kernel to 4.8.0-26.28, but I can not run the wifi, only wired network ... HELP. I do not recommend Meegopad devices however you might get help from other users on other sites. I tried your patched version of Ubuntu Mate 16.10 and the sound is not working on my Lenovo Ideapad 100S-11IBY. It seems to have sound input but no sound output. It is possibly using the HDMI port as the audio output and it doesn't give me a choice in the settings for audio output except for "Dummy Audio" or something like that. I tried it with both PC speakers and headphones, without the system even recognizing my headphones in the sound settings. Any ideas on how to get the sound working? Also, the sound is working fine with both PC speakers and headphones on Windows 10 so hardware failure is not a possibility. It looks hdmi audio is not working in devices with primary screen like yours. I'm also waiting for a patch. If you boot with the hdmi monitor connected probably you will get the hdmi audio in the list but it won't work. Please try this to add your device to the not working tested devices. By the way, could you tell me if after booting with the hdmi connected you get the lcd display black and only video output in the monitor ? It's another bug I noticed. I haven't tried to connect my laptop on my TV yet. It's something I possibly try in the future to see if I'll get the audio working that way and also to see if I can get the video on my TV screen. I managed to find the sound devices by using the terminal. It actually lists HDMI as one of the sources. Also, being in the default MATE sound settings it's possible to see the audio input while playing a video on YouTube but nothing indicating any audio output whatsoever. One workaround I've heard of is to use a USB sound card. I guess any USB audio output device could work but this is not optimal as I'm looking for a solution that would provide me a fully functional laptop without any extra devices connected. By the way, there seems to be quite a lot of people struggling to install Linux on Intel BayTrain and Cherrytrail laptops. There's a good chance that you've already found these links but I'm going to post them in case it's new information for you. Sorry I didn't understand you were talking about internal audio. I could get this working using a beta of the next kernel version but not with Linuxium version. I know the developers are working to add this patches to the next kernel versions so it will be working soon. Do you happen to know what other patches have they applied for Baytrail and Cherrytrail processor computers in the 4.9 kernel? I've only heard about patches for the freezing problem. I've added a 4.9 kernel option (4.9.0-8.9 which is currently the latest Zesty kernel) and instructions for configuring audio using the RT5640 codec so perhaps they will help you? Works like a charm on Mele PCG03. Thank you! errno: is Bluetooth also working on PCG03? Hey, thanks for all your efforts! Would this be expected to work on Asus model T100T? (which is a z3740 CPU and, as best I can tell, 32 bit UEFI). I tried booting both your 16.10 lubuntu and 16.04 lubuntu, (written to 8GB USB stick from other PC with "dd if=blahblah.iso of=/dev/sdc"), and it just showed the GRUB prompt. okay the above problem happens some of the time and not others. This tablet has USB micro on the screen portion (so I used USB on-the-go cable), and has a blue USB3 port on the keyboard portion. With both connectors, I tried going through a hub (an older, powered USB2 hub) before my USB stick with your .iso. I tried it numerous times and different ways. I'm pretty sure it never worked when going through the hub. However even with USB stick direct to USB-OTG, or with it direct to USB3 port on keyboard, in both cases it still sometimes went to GRUB prompt, and sometimes booted to the "try lubuntu/install lubuntu" menu. Next question is, is wifi expected to work? I don't even see a wlan device on lspci : - ( and so obviously its not in the lubuntu network manager panel icon either. Suggestions anyone? What wifi chip does your device use? I noticed that occasionally, the stick will hang on a reboot. Managed to capture the screenshot of the console and looks like it could be related to the hdmi_audio. Do let me know if you would like to have a look at the screenshot. Thanks for your great effort! Can you post a link to the screenshot? I am so sorry, just realized that I have deleted the screenshots! The good news is that after patching with your kernel version 4.8 and setting the system to reboot on kernel panic, the problem seems to have gone away. I tested the stick by doing a reboot every minute for more than 12 hours. So far, I have yet to see it hang on reboot. Hi Ian and all ! Thanks a lot Ian for your amazing work. I had your previous LTS iso running on a minix Z64A - works great. Yesterday, I installed Kubuntu 16.10 and updated the kernel using your script on another Z64A. Everything's fine and the Z64A works better than ever EXCEPT this annoying shutdown/reboot bug. After some research, it looks like a reboot/shutdown bug has been introduced in the kernel around the 4.8 series. Will you be providing 4.9.x kernels for 16.10 (when available), or will you stick to 4.8 ? First 4.9 kernel posted today! Your 4.9 kernel was released before vanilla 4.9 was out; what RC served as basis for your first 4.9 ? For me, your 4.9 works fine but still no working shutdown or reboot on Minix Z64A. What can I do to track down this issue and help with this ? Canonical kernel versioning includes RCs. However 4.9.0-8.9 is -rc8 plus various kernel source modifications which are specific to Ubuntu and plus some upstream kernel patches etc so I thought it would help. I'm working on a true (mainline) 4.9 at the moment but it is not ready yet. Regarding the issue, on https://bugs.launchpad.net/ubuntu/+source/linux/+bug/1594023 people have started to report that the fix appears to be an "intermittent" fix. Further testing is required I believe. But I still have trouble with my microSD card reader on my ASUS E200HA after using your patch. My processor is z8350, and it uses Intel SD Host Controller on PCI Express root complex. The microSD card reader just cannot be found any way. 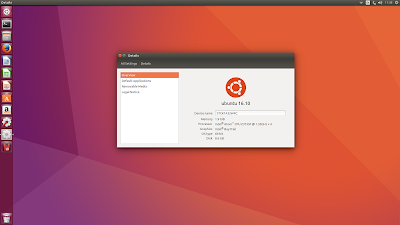 Which Ubuntu version and which kernel are you running? I'm running an HP x2 Detachable 10-p010nr and I have no sound. This is a known lack of a codec in the kernel. See: https://bugzilla.kernel.org/show_bug.cgi?id=115531 I don't know if anyone is working on this and, if someone is, what sort of progress they might have made. Is this when booting an ISO on USB or a previously installed Ubuntu? If the latter then it maybe a GRUB issue so have you tried booting the kernel manually from within GRUB so you can then update grub.cfg? Hello, I just want the problem free iso to install on my intel compute stick. 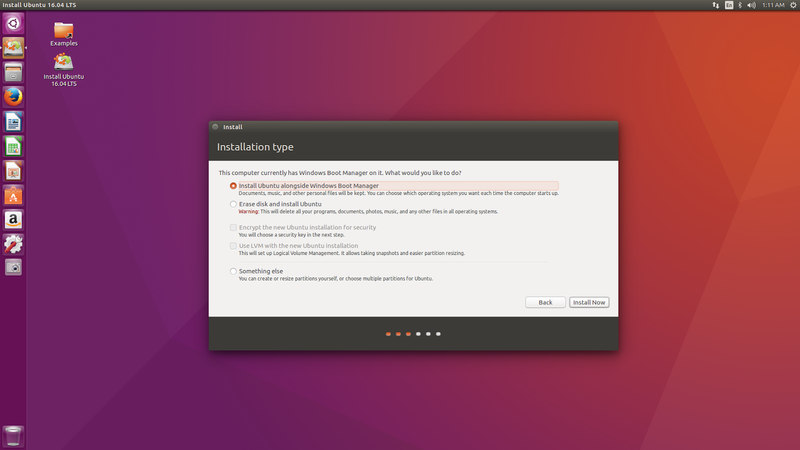 The reason I got it was to run linux without any problem but the 8gb is not enough with Ubuntu that came with it. WHich iso will allow me to install on my compute stick without any problems and without me having to run any commands? Hi, I have the Intel Compute Stick with 8 GB of storage also and the Lubuntu ISO installs on it with about 2 GB available after the installation. Thank you do you know about the ubuntu mate? Personally I'd recommend using my Lubuntu ISO given you've only got 1GB RAM. Depending on your storage needs mounting /home (or similar) on a partition located on the micro SD card is a workable option. I only had to modify the script renaming the display from eDP1 to DSI-1, as it's called in my device. I hope this can be useful. Now I need to adjust he touchscreen: it is correctly recognized only when the screen is oriented in portrait mode. Hello I finially figured out how to install linux ubuntu mate on my intel compute stick. Can I just update it with apt-get update? or do i need to run your script. If i need to run script can I get instruction please? You can basically use 'apt-get update' to update the user space i.e. the applications as required and use my kernel update scripts to update your kernel as they become available. If you do update to the generic kernel you will loose some specific BYT/CHT functionality (like HDMI audio etc) but you can get this back by simply applying my latest kernel update script for the Ubuntu release you are running. Thank you for your reply. Will you post updated iso as they become available? I post updated kernel scripts as soon as I can after they come out although I may occasionally have to skip some if they are of no benefit to Bay Trail or Cherry Trail users. ISO updates will follow the standard schedule unless there is a significant fix specifically for Bay Trail or Cherry Trail SOCs that would benefit in an ISO respin. Hi, Thank you for your hard work. I tried the Ubuntu 16.10 iso on my RCA Cambio W101 V2 tablet. This tablet came with windows 10, it has a Intel Atom Z3735F 1.33GHZ cpu with 2gb of RAM. I needed to change the grub configuration to add nomodeset to get it to boot. Wifi works, but no audio and Touchscreen. I found the firmware I need for my touchscreen but I dont know how to add it to the kernel, this is a link to the firmware repo: https://github.com/onitake/gsl-firmware/tree/master/firmware/rca/w101v2. I will try to find how to make it work, so my tablet will become more fonctionnal. I'll keep an eye on https://bugzilla.kernel.org/show_bug.cgi?id=189261 to see how it progresses. Glad to see you're alive and kicking. I was starting to worry about you. Hope everything is okay. Thanks for all you do. Thanks. I had to rebuild after failed RAID so I took the opportunity to upgrade, consolidate and restructure three development PCs. Dealing with tens of TBs puts you on "island time". Ian, could you please add info how to build kernels from your gihub ? I've tried everything to find the mentioned firmware files without any luck. I'll donate if you can get my video and audio output to work properly! You can ignore the missing firmware warnings as they are for different SOCs. I've also asked Minix about the audio issue as they said they had it solved. Thank you for your reply and clearing that up. They say they have it sorted yes, they have it sorted for a while now. But they haven't shared a distribution, kernel or source code. So I was hoping I could investigate and solve the issue myself. I don't really care about all the other stuff, I only really need video and audio since I want to start using the device as a HTPC with Ubuntu. You've done all you can. Thank you so much! You're doing excellent work. Hi Ian,I've installed the latest Ubuntu-16.10-linuxium image on my ONDA V820W (which is a Z3735F Chinese Tablet) successfully with option "pmedia=usbflash i915.modeset=0" added. But after the installation, the GRUB menu works properly, but when I select the entry it boots into purple screen and doesn't move. I tried adding "i915.modeset=0" in grub.cfg but didn't work. What should I do? Plus, I installed on the TF card. Somehow my Tronsmart Ara X5 Plus has lost HDMI audio on Ubuntu 16.04.1 using the latest 4.8 kernel. It used to work beautifully, but now pulseaudio is not detecting it, and alsamixer shows IntelHDMI, but with no sliders: "This sound device does not have any controls". Any suggestions? Thanks for all your hard work! So are you using 16.04.1 with the latest 4.8.0-30.32 kernel? Does sound still work fine using the latest 4.4.0-53.74 kernel? I'll try tonight. Haven't tried the 4.4 kernels since you mention that lock-up issue. Thanks! I don't understand what is going on. I've tried kernels 4.4.0-31, 4.4.0-53, 4.8.0-26, 4.8.0-30, and now there is no difference. It used to work about one week or two ago. Now alsamixer can't show any controls for the IntelHDMI device. Weird, now it started working with kernel 4.4.0-31. I've removed all other kernels for now (this system needs to be reliable for when I'm not around). I'll wait for new development, maybe when kernel 4.9 stabilizes. Hello, and thanks for all your work! Will be doing a donation in a bit, for now thought I'd pass on some user testing. I have an HP Envy 8, like a lot of the other people. 8300 series cherry trail processor. I have tried both the 16.04 and 16.10 Lubuntu isos on it. Both load provided you add the c_state.max=1 and i.915=0 kernel parameters (probably wrote them a bit wrong). The wifi, touchscreen (including the wacom pen), and screen (sans rotation) all seem to work out of the box. but if you issue an fdisk -l command it doesn't appear to show up. Inserting or reinserting a variety of cards (both sd and sdhci) doesn't seem to change things. Sound does not appear to work (dummy output only on PulseAudio, haven't had time to look into it), and the battery stuff does show up for some kernels but not others. Will try to test more in a bit. Bluetooth is a bit flakey, not sure if it works. The LTE modem is detected but I don't have a Sim card to test it with at the moment. Please keep us in the loop about what info is interesting for you, and we will try to test stuff. As it is, you turned a not very interesting tablet into something that I can actually work on... Keenly interested in any work on the sd support, that is the one thing I care about. Thanks for the feedback. I'd be really interested to hear how my latest 17.04 Alpha 131216 ISO performs on your HP Envy 8. Booting will initially be slow but as it includes the PUNIT fix and the new HDMI LPE driver all running on the latest 4.9 kernel you should get benefits from being the latest build. In particular SD card support has improved with the later kernels although I am still having problems with Sandisk cards (others like Samsung/Transcend work fine). For sound you should see sound cards showing up with this build so again it is worth testing. If you do get a chance to try the ISO please post your results. "mmc1: Got data interrupt 0x0000002 even though no data operation was in progress"
Sorry which ISO and specifically which kernel version is giving these 9000 error lines? Have you tried any different ISO and kernel combinations and if so does this reduce/remove the errors? Finally, is the error repeatable and is it when booting from an ISO or from an installation on the eMMC? I got it with all ISO's i tried, and every time. That is very interesting. Please can you share a 'dmesg' so I can analyse further. I've included instructions on how to do this both in a comment below and in the main post above. I've tested your alpha version of Ubuntu and it seems to work pretty well. The sound works out-of-the-box, both with pc speakers and headphones. The WiFi doesn't seem to work on n-standard though since I had to configure my router to use "automatic" instead of "n-only". The SD card didn't work but that was probably due to the exFat format. Also, my laptop just froze when I was a video on YouTube and I had to press the power button to shut it down. This could be due to the alpha build of Ubuntu not being able to cope with the exceeding the 2 gb of ram that my laptop has. Another possibility is the BayTrail freezing problem not being fixed in the 4.9 kernel. The testing was done on Lenovo Ideapad 100S-11IBY. It was tested from live USB stick without persistence. The current alpha build doesn't seem ready to replace Windows 10 on my laptop but I'll be testing your future ISO's as well. I hope you'll have time to port the other Ubuntu alpha flavors, especially Xubuntu, at some point in the future. Keep up the good work! Many thanks for your comments. If the feedback for my Ubuntu 17.04 ISO is favourable I will look at a Lubuntu ISO next. I tried your "zesty-desktop-alpha-131216-linuxium" release on my Lenovo Miix 2 8" tablet. It has Intel z3740 processor. I added countdown and default entry to grub.cfg because I don't have external powered USB hub so I can only plug the boot USB. Also, I added this strings to grub.cfg's first entry: "pmedia=usbflash i915.modeset=0"
When tablet was boot to Ubuntu, it takes 3-4 minutes. In boot screen I have errors like "i2c i2c-0: i2c read failed" , "i2c_designware: Only 100kHz, 400kHz, 1MHz and 3.4MHz supported" and "brcmfmac: brcmf_sdio_htclk: HT Avail timeout (1000000): clkctl 0x50"
Touch screen didn't work. This means I can't test anything like Wi-Fi, Bluetooth etc. Please can you try booting the ISO again but without the added parameters of "pmedia=usbflash i915.modeset=0". Booting will result in an initial black/blank screen after the GRUB prompt which will last for around a minute before the splash screen appears. It should then boot without the need for the nomodeset parameter. Please could you also share the dmesg once booted so I can look into the i2c messages further? The best way to help when making a comment is to include the name of your device and a copy of the output from 'dmesg' (which is basically a log of kernel messages). The easiest way to share the log is by using the 'pastebinit' command (see https://help.ubuntu.com/community/Pastebinit). After installing the command by entering 'sudo apt install pastebinit' you can share the kernel messages log by entering 'dmesg | pastebinit'. This will paste a copy of the output from 'dmesg' to Ubuntu's Pastebin and provide an URL to access it. Hi to all & hi Linuxium, i've just buyed a [jumper ezbook 2 new model] based on cherry trail z8350. If your iso could be fine for my needed(i suppose "yes" all because your nice work), can i launch "apt-get update && apt-get upgrade" without troubles? Or with a kernel upgrade, at the next reboot, i'll be stucked? You can use 'apt-get update' to update the user space i.e. the applications as required and you should use my kernel update scripts to update your kernel as they become available. If you update to the generic kernel (e.g. after an 'apt-get upgrade') you will loose some specific BYT/CHT functionality (like HDMI audio etc) but you can get this back by simply applying my latest kernel update script for the Ubuntu release you are running. You should always be able to boot with the generic kernels as my kernels only include additional drivers suitable for Intel Atom SOC based devices. OK, problems... I have Tronsmart Ara X5 (the original X5-Z8300) and I have no sound through audio out. And it seems to be working, except that there is no sound coming out of the speakers. For example, if I play something on YouTube, I can see it show up under the "Applications" tab I know both speakers work as they work under Windows 10 and other sources. What else can I try to make the sound work? Thanks. The 'pastebin' of the 'dmesg' is really helpful in diagnosing the issue. You need to install the RT5640 ALSA Use Case Manager (UCM) files. Look for the green 'Clone or Download' in the post above and follow the instructions to enable sound.